Football is a sport that can teach children many different disciplines. It is good for their health and stamina, great for problem solving and ideal for teamwork and confidence building, for example. At Soccer Shootout children are encouraged to explore all of these things and more through the game of football allowing them to gain life skills and football skills in one interactive and enjoyable class. It starts with Soccer Tots which is aimed specifically at two and three year old children who are only just starting to learn how to play football. Classes focus on the basics of the game, giving children the ability to understand the rules and how to play from a very early age. 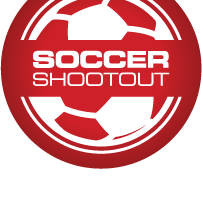 Soccer Shootouts also provide enjoyable and exciting soccer camps as well as fun days at schools and at events. There will usually be a camp running at most times of the year and these are focused on children from the age of 4 right up to the age of 18. This means that a child can stay with Soccer Shootouts all the way through their childhood, developing an exceptional number of skills as well as a true appreciation of how the game of football is played.